I got Holden to smile at me yesterday. Like real, true smiles and not just those silly, dream-like smiles he gets while breastfeeding. I tried all day and finally caught a few on camera last night! Oh, he's such a cutie! Now I feel like the real fun begins! 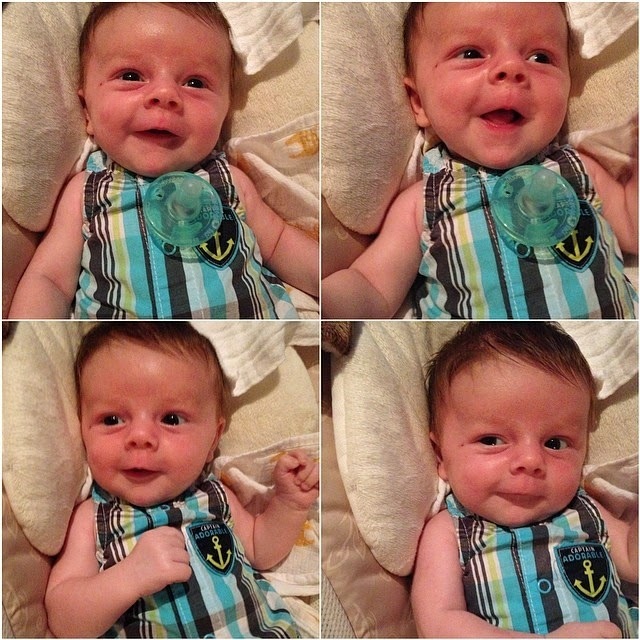 Holden Beckett: 2 Months Old!